Home Legislative Can North Dakota Become the “Reddest” State to Ever Legalize Recreational Marijuana? Can North Dakota Become the “Reddest” State to Ever Legalize Recreational Marijuana? Election Day is fast-approaching, and in the world of cannabis the most-watched vote may be the one going down in North Dakota. On November 6th voters there will decide on an adult-use marijuana legalization measure that, if passed, would have no limits on the amount adults could possess and grow (something that I’m sure would not be allowed to stand by the state legislature). But the lack of limits is not the only thing that gives this measure its historic quality; the vote is happening in one of the “reddest” states in the country. Political pundits and news reporters in the U.S. have long used the “Democrat states are blue, Republican states are red” formula for keeping things simple on election night, especially when it comes to Presidential elections. Under the red/blue dynamic, North Dakota is undoubtedly a red state. Trump won ND by 36 percentage points in 2016, and the state hasn’t chosen a Democrat nominee for President since Lyndon Johnson in 1964. Very rural and very conservative, North Dakota is one of the last states one would think would legalize recreational marijuana. This makes the fact that the issue is on the ballot even more mind-blowing. Polls on the measure have varied wildly, showing majorities against the measure or majorities for the measure, depending on which poll you’re looking at. According to David, Legalize ND was born out of the successful effort to legalize medical marijuana in the state in 2016 and the fear that the medical cannabis program was being gutted in 2017. The group saw recreational legalization as the logical next step in getting access to legal cannabis to as many people as possible. 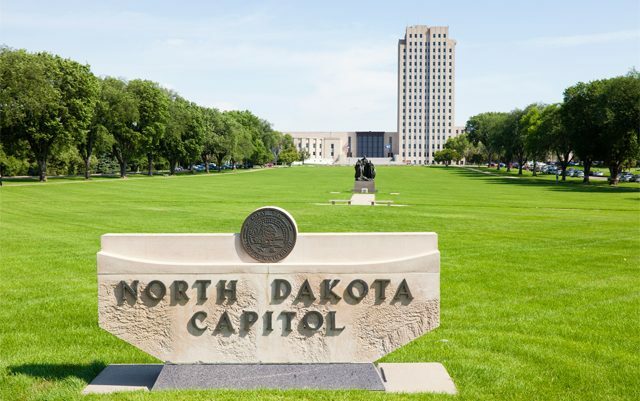 If Measure 3 passes on November 6th, it will make North Dakota the reddest state ever to approve recreational cannabis legalization, whether through the ballot box or the state legislature. This would be a historic event that would take a lot of work to keep intact, but the first battle will be fought in just a few days, and it is one that pro-legalization forces must emerge victorious from if cannabis consumers in North Dakota will have any kind of decent access to their medicine of choice. Next articleWhat Does Election Day 2018 Mean for the Marijuana Law Reform Movement?